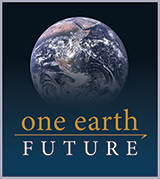 It is the program of a North American foundation called One Earth Future, which three years ago wanted to be part of the Peace Agreement through programs of economic reintegration of ex-combatants. Though there has been some implementation progress since the 2016 signing of the peace agreement between Colombia and the FARC, there has also emerged new threats to peace. Director of OEF's PASO Colombia program, Juan Fernando Lucio, is interviewed about a study produced by Universidad de los Andes and PASO Colombia, analyzing over 1,900 civil society peace initiatives in Colombia. At the invitation of OEF's PASO Colombia program, which is coordinating development of plans for reincorporation of ex-combatants, the mayor of Cali recently visited a transitional rural zone where FARC's ex-combatants are concentrated. OEF's latest Annual Report looks back on the accomplishments of its various programs in 2016 and looks ahead to what it hopes to achieve in the coming year. During a recent trip to Colombia, OEF President Larry Sampler responded to questions from El País, one of Colombia’s largest newspapers. The resulting Q & A provides Larry’s insights on attaining sustainable peace after prolonged conflict and on how OEF’s PASO Colombia program is working with communities to build peace at the territorial level. The article is in Spanish and available here. OEF and PASO Colombia's work to transform conflict in Colombia is featured in this story on the role that communities and negotiators are playing in the peace process.